I have a secret to share. Until very recently I only cleaned my makeup brushes when it came to mind. It came to mind about once a month. Yikes! I've heard more and more about why you should clean your makeup brushes more often and have changed up my routine. 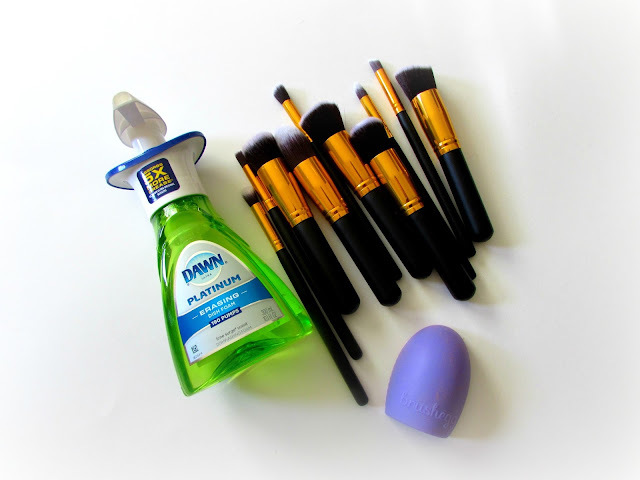 Today I'm sharing why I think you should clean your brushes weekly and how it's helped me. As I mentioned in last week's post about my nightly skincare routine I've been frequenting my spa with some gel peel and microdermabrasion treatments. During one of my microderm sessions my esthetician told me my skin was looking great but the most damage was coming from deep in my skin. She asked me how often I clean my makeup brushes. I paused and with hesitation told her "Um, not so often." My laziness in this department was hurting me in more ways then one. 1. The blemishes and build up deep down in my skin are surfacing. 2. Less germs not only sounds better, it feels better. 3. Speaking of feeling...my skin feels better too. 4. My makeup is applied better. I'm not fighting through a layer of foundation or powder on my brushes to get a clean look on my face. 5. I want to pro-long my investment in my brushes. Let's face it, most of these brushes aren't cheap. 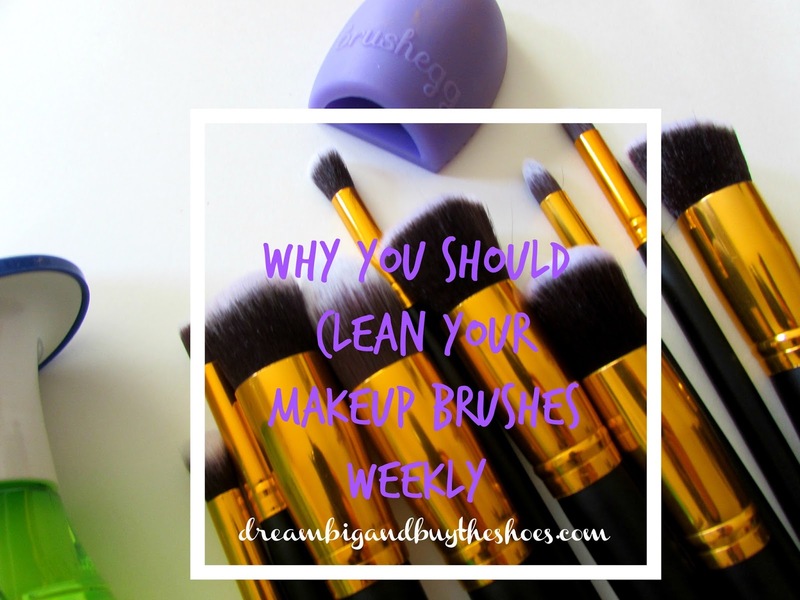 I want to make sure that I'm getting the most that I can out of my makeup brushes and cleaning them weekly will make them last as long as possible. The best routine I have found so far takes approximately ten minutes and gets my brushes the most clean out of all the various techniques I have tried. First I get some water on my Brush Egg then give about 2 pumps of Dawn and gently scrub my brushes on the egg. I continue to do this and usually need a few more pumps of soap to get them completely clean. I know to stop when the water and soap is no longer colored, and is clear. I promise you that the results in changing your weekly routine can make a world of difference. I encourage you to set a reminder, write a note in your planner or set a specific time where you will remember to clean your makeup brushes. The time will most definitely pay off in the long run. 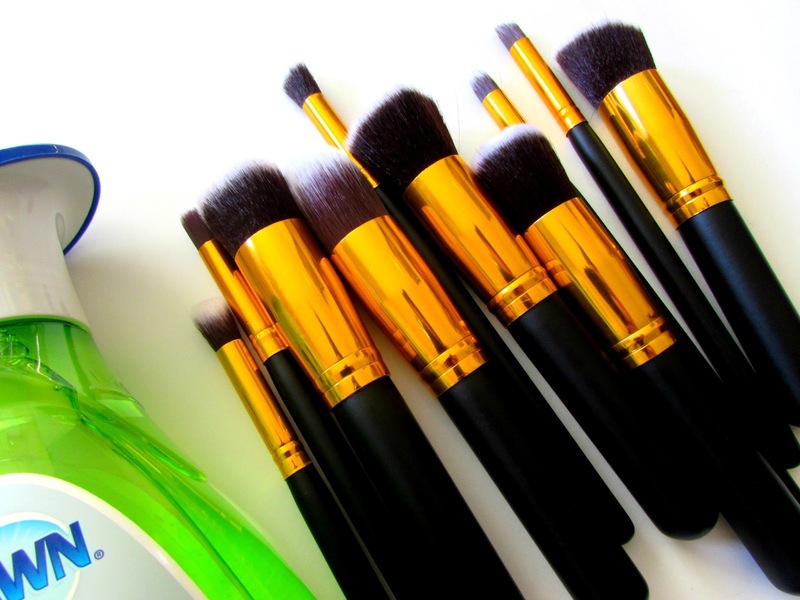 How often do you clean your brushes?